Sofitel Ambassador Seoul, located on the hill of Namsan, features special Korean traditional tea and food to welcome the beautiful autumn. Jirisan wild ginseng tea is available at 15,000 won while herb tonic tea, both bitter and sweet at its taste, keeps your body warm during the season. Also, jujube, ginseng and strawberry are all offered at 12,000 won. Additional 2,000 won brings Korean cookie to the table. "Jujube has been especially known for its efficacy on robustness by nursing energy and protecting spleen and stomach. It's the favorite drink for sudden coldness" said the chief chef at the hotel. Also, the tea relaxes the nerve system to make it helpful for exam-takers on November. Guests who need more than just tea can also choose a variety of gruel and rice cake featuring abalone, pumpkin, bean and more. gruel and rice cake are priced at 18,000 won and 12,000 won respectively. 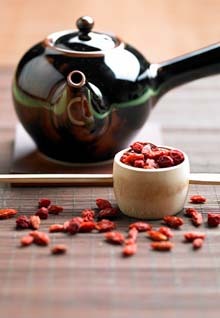 Stay warm with our special traditional tea and get ready for upcoming cold season.